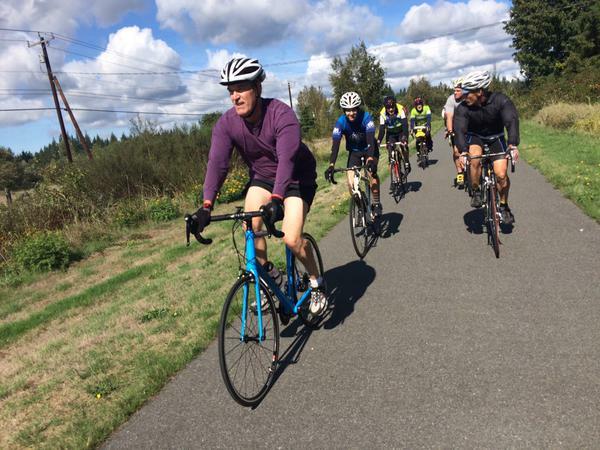 Today Rep. Rick Larsen (WA-2) led all US House of Representatives Democrats on the Transportation and Infrastructure Committee in requesting funding for a popular program that supports community investments in infrastructure for better biking and walking. On Labor Day 2015, Representative Larsen joined Washington Bikes, elected officials, and business and organization representatives from Snohomish and Skagit counties on a bike ride along the Centennial Trail. Larsen and his colleagues asked Committee Ranking Member Peter DeFazio and Highways and Transit Subcommittee Ranking Member Eleanor Holmes Norton for their continued support of the Transportation Alternatives Program. The letter outlined the clear benefits and rationale for sustaining this funding as the House considers reauthorizing federal transportation funding moving forward. Right now the House of Representatives is deliberating whether to consider a multiyear reauthorization or a short-term funding patch as it develops a longer transportation funding package. 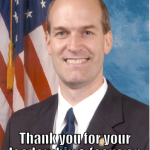 Washington Bikes thanks Representative Larsen for his leadership to protect this critical Transportation Alternatives funding that in Washington state supports Safe Routes to School projects, as well as numerous critical biking and walking projects chosen by local jurisdictions statewide. 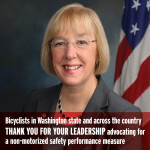 This leadership for safer streets isn’t new from the Congressman who represents much of the northern portion of Puget Sound. 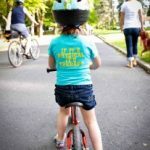 Late last year he led a request to the Government Accountability Office (GAO) to learn more about the trends and causes of collisions involving pedestrians and bicycles and to make recommendations about improving safety on our streets. 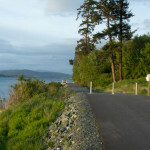 His interest in making better cycling connections has led him to events at the Guemes Channel Trail, and on Monday he spent a few hours on a bike ride with Washington Bikes and Snohomish and Skagit county representatives to see the Centennial Trail and to learn about the potential in trail extensions on the Whitehorse Trail, and north to Skagit County and south to King County. 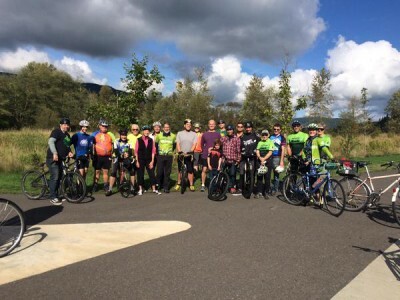 This article was posted in Advocacy, Arlington, Economic Impact, Federal, Funding/Policy, Infrastructure, Issues & Advocacy, News, Safe Routes to School, Skagit County, Snohomish County, Tourism, Trails, Transportation. Bookmark the permalink. Follow comments with the RSS feed for this post. Both comments and trackbacks are closed.